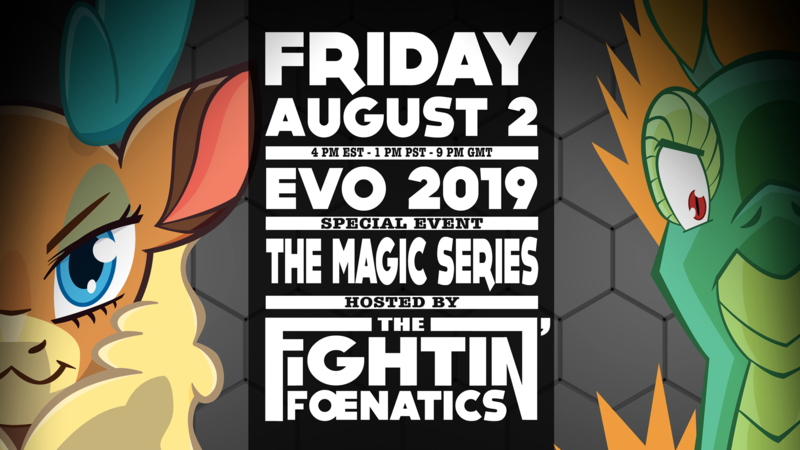 We're hosting a TFH tournament LIVE from EVO 2019! The Fightin' Foenatics and potentially escapingworkforce are gonna host a special event for those aware of The Magic Series. This is, of course, not an online tournament. Currently, We've set the cap for 32 entrants for this. Hopefully we get a ton of people out to EVO to represent TFH and have some fun. Oh yeah! We're putting up a $150 prize pool! Top 3 will get cash prizes! Due to EVO's community championships rules, we may only get to stream Top 4 of the event. We're working on being able to stream the whole thing though. Do note that we will definitely be recording all matches and uploading them once we get time after evo. Please direct your questions towards MPK, who can be found on the Fightin' Foenatics' Discord channel. Sounds like a blast. I'll be sure to watch.